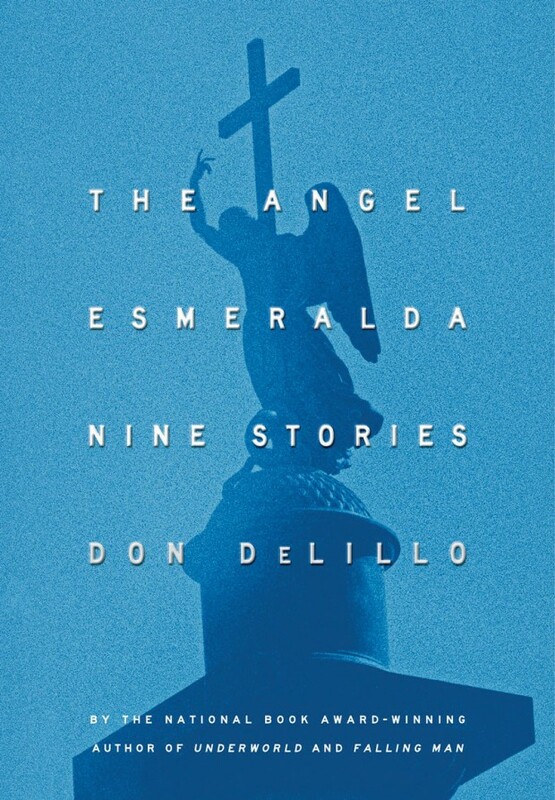 ☛ The Angel Esmeralda by Don DeLillo, New York: Simon & Schuster, November 2011. Cover image retrieved from The New York Observer. Below are accounts of two public events featuring Don DeLillo (which were held during the fall of 2012), as well as a short roundup of 11 reviews of his latest book The Angel Esmeralda. Capital New York: “At a Park Slope Synagogue, Auster, DeLillo, Foer, and a brief cultural respite” by Jason Diamond, November 2, 2012. An account of what was supposed to be a conversation between Don DeLillo and Paul Auster (who are long time friends) organized by the Congregation Beth Elohim centre in Park Slop (N.Y.). I tried to attend this event but Sandy made it difficult and I missed it. As it apparently turned out, the two authors never really chat together and mostly read from their most recent books. “I thought they were going to talk,” one older woman behind me said loudly. And though the event was billed as a “conversation,” where the authors would “discuss their work,” it was clear that some book signing was all that remained. Several more audience members echoed the woman’s disappointment. The Wall Street Journal: “A Place for Writers, Reflection” by Lizzie Simon, November 2, 2012 [if the link leads to a paywall, copy-and-paste it in Google: articles from the WSJ accessed via a Google search are open]. Another account of the same event where Don DeLillo and Paul Auster shared the stage at the Congregation Beth Elohim centre. The event was titled “Paul Auster in Conversation with Don DeLillo”—and yet, strangely, by the end of the evening, the two hadn’t actually conversed. They hadn’t commented on events of the week. And they didn’t take questions from the audience. What they did, one at a time, was read, side by side on the bimah, in nearly identical charcoal gray sweaters and dark pants. Artforum: “Mean Streak” by Andrew Hultkrans, November 5, 2012. An account of the “Live from the NYPL” evening featuring a conversation between Don DeLillo and novelist Jonathan Franzen (October 25, 2012; see the official NYPL site). Photos from the event were made available on Facebook (all photos by Jori Klein). An early exchange was typical of the entire interview. Franzen asked how important meaning was to DeLillo’s writing. “Not much,” the older writer deadpanned. “I’m a writer of sentences… I don’t know where meaning comes from.” Franzen was visibly chastened by this anti-response. 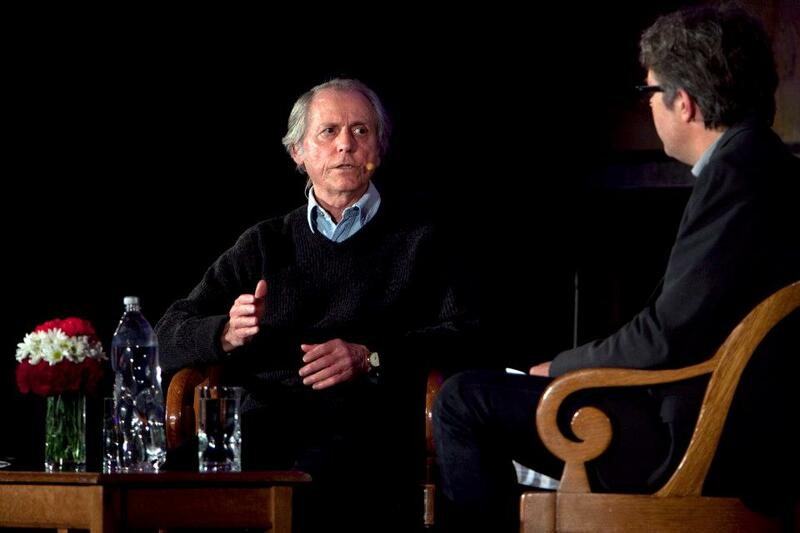 Random House’s blog: “The Mystic Don DeLillo with Jonathan Franzen at the NYPL” by Michelle Dean, October 25, 2012. Another account of the same event at the New York Public Library featuring Don DeLillo and Jonathan Franzen. DeLillo is, by contrast, perfectly comfortable. He talks easily about wanting, when he’d had his first story accepted, to write the editor back, and tell him he didn’t mean it. (He also handily brushes off Franzen’s stated, and evidently sincere, disappointment that this early story is not included in the book.) He explains that he doesn’t think of “meaning” as central to his work, and that he is a “writer of sentences” and the rest he has no control over. Live at the New York Public Library: Don DeLillo in conversation with Jonathan Franzen, October 26, 2012. Photo Credit: Jori Klein/The New York Public Library. Below are eleven reviews of the book. If I had to recommend two it would be the one by Charles Baxter and the one by Martin Amis. The Guardian: “The Angel Esmeralda: Nine Stories by Don DeLillo – review” by Mark O’Connell, September 9, 2012. As always, DeLillo’s dialogue combines impeccable colloquialism with laconic, epigrammatic deadpan. Mostly this is compelling, but it’s occasionally too stylised for its own good – although you wonder whether this is perhaps the point. His characters don’t so much converse as riff off one another, building a collaborative structure of ironic significance that only occasionally amounts to what you’d call communication. There is a sadness and a loneliness to these stories that goes beyond the postmodern and touches on some essential human desolation. Reading The Short Story: “Don DeLillo’s The Angel Esmeralda―Part I, Part II” by Charles E. May, February 22, 29 2012. Although I don’t agree with everything May has to tell about The Angel Esmeralda, the first part of his review offers a good overview of how the book was received. The three reviews with arguably the most impact may be those by other respected writers: John Banville in Financial Times, Charles Baxter in The New York Review of Books, and Martin Amis in The New Yorker. Banville is the most circumspect of the three. The New York Review of Books: “A Different Kind of Delirium” by Charles Baxter, February 9, 2012. In his review, Charles Baxter associates the fact that Don DeLillo doesn’t spend much time describing his characters inner emotions with the category of posthumanism. And here we arrive at the necessary component of the trance experience, the implicit content at its core: the narcotic spectacle of an entity’s fragile existence prior to its violent death or destruction. The prospect of an imminent violent death renders everyone speechless and thoughtful. It is the pre-apocalyptic condition. In this fiction, violent death occupies a privileged position in the hierarchy of signifiers. The thing about to be destroyed takes on a terrible beauty, worthy of elegy. The Washington Post: “‘The Angel Esmeralda,’ Don DeLillo’s first collection of short stories” by Troy Jollimore, November 28, 2012. At times, “The Angel Esmeralda” feels almost like a novelist’s notebook. A couple of these pieces, such as “The Runner,” briefly sketch characters or situations that might have been interestingly developed in the context of a longer work but don’t add up to anything very substantial on their own. (After its initial publication in Esquire 1994, the title story became part of “Underworld.”) But several are effective as stand-alone pieces, and even the most fragmentary of them provides the pleasure of reading the inimitably elegant sentences that DeLillo has been fashioning for four decades. The Los Angeles Times: “Book review: ‘The Angel Esmeralda: Nine Stories’ by Don DeLillo” by David L. Ulin, November 27, 2011. What DeLillo’s getting at is a particular idea of suspension, one that implicates everyone. “She was deprived of sentiments, pretensions, expectations, textures,” he writes of his Athens schoolteacher, and her feeling of having been stripped raw recurs across the book. Time Out New York: “Review: The Angel Esmeralda by Don DeLillo” by Matthew Love, November 23, 2012. Don DeLillo freaks people out. The unease that haunts his characters and rattles under the happenings in his novels has a way of seemingly manifesting itself in the real world: Mao II, for example, dwelled on terrorism and the World Trade Center nearly ten years before 9/11/01. A fan will expect that persistent, eerie anticipation in DeLillo’s new short-story collection The Angel Esmeralda; as the nine stories span nearly 30 years, however, one can also witness the grander changes in tone and tactic of the author’s writing on a small scale. The New Yorker: “Laureate of Terror” by Martin Amis, November 21, 2011 (PDF available on Amis offical website). DeLillo is the laureate of terror, of modern or postmodern terror, and the way it hovers and shimmers in our subliminal minds. As Eric Hobsbawm has said, terrorism is a new kind of urban pollution, and the pollutant is an insidious and chronic disquiet. Such is the air DeLillo breathes. 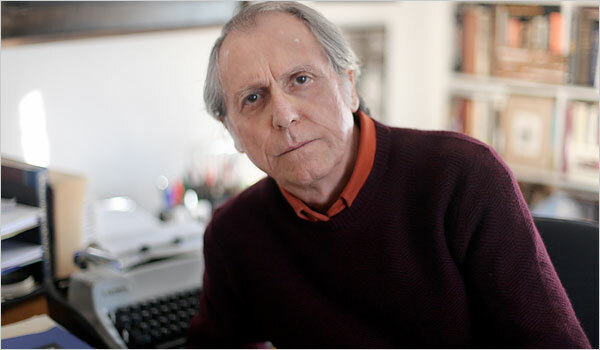 The New York Times: “Don DeLillo and the Varieties of American Unease” by Liesl Schillinger, November 17, 2011. Each of the stories collected in “The Angel Esmeralda” addresses a different kind of unease. It’s almost a pity that the reader knows from the start that they were written over five decades — because each one feels like a coded contemporary allegory. DeLillo’s doomy brainteasing reveals the enduring adaptability of human insecurities. The New York Times: “Angry Landscapes Up Close and Far” by Michiko Kakutani, November 16, 2011. Like so many earlier DeLillo characters, these people are deeply alienated individuals — detached, displaced, often stranded in physical or emotional limbo. Their anomie is both a psychological state and a natural reaction, Mr. DeLillo implies, to the precarious conditions of a world in thrall to madmen and the mass media. NPR: “In Don DeLillo’s ‘Angel,’ Stories Of America Alone” by NPR staff, November 14, 2011. Don DeLillo is a connoisseur of chaos. His authorial stance, if he may be said to have one, to the disasters peculiar to our time is that of a witness, bemused, detached, finical, whose task it is to render measured reports of the mind-numbing things that take place daily before his unblinking gaze. The tone of voice is steady, the temperature degree zero. DeLillo’s writing style owes much to the French nouveau roman and its theorists, led by Roland Barthes and Alain Robbe-Grillet, and mediated through the work of closer-at-hand messengers and exemplars such as Susan Sontag and Joan Didion. From these and most figures in the field, however, he differs in at least one significant aspect; namely, his humour. As anyone will attest who has read White Noise, for instance, DeLillo is disruptively and subtly, even surreptitiously, funny.